A spray-on latex polish for a glossy shine. It polishes and protects your clothes. Spray a little polish on the latex and distribute with a soft sponge. Allow to dry for a short time and your garment is ready for use or storage. 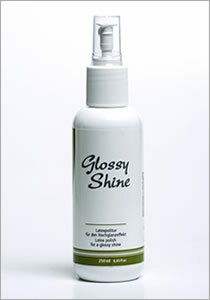 The 250 ml bottle comes with a pump spray closure.